This week we finally said goodbye to the eucalyptus melliodora that have graced the front of our building. Have you heard about ‘The Ripple Effect’? After nearly twelve months of preparation the site is expanding on 30 June. There site will include video stories and postcards by members of the farming community who will talk about their experience of suicide. It provides valuable information to help people look after themselves and others and includes videos from health professionals and stigma experts from farming communities. The website encourages people to turn information in practical action and assist you to set your own personal goals. We are getting closer to the commencement of the Green Army Team. The group of young people (17 – 24 year olds) will be commencing soon and out and about working on local projects after some training is out of the way. If you would like to know more about the Green Army projects or if you have a project on your property that you think that they could be involved in, please get in contact with me. In the warmer months we will also be looking for seed collection sites, with the intention that we will be able to propagate our own plants, with particular attention to indigenous plants. 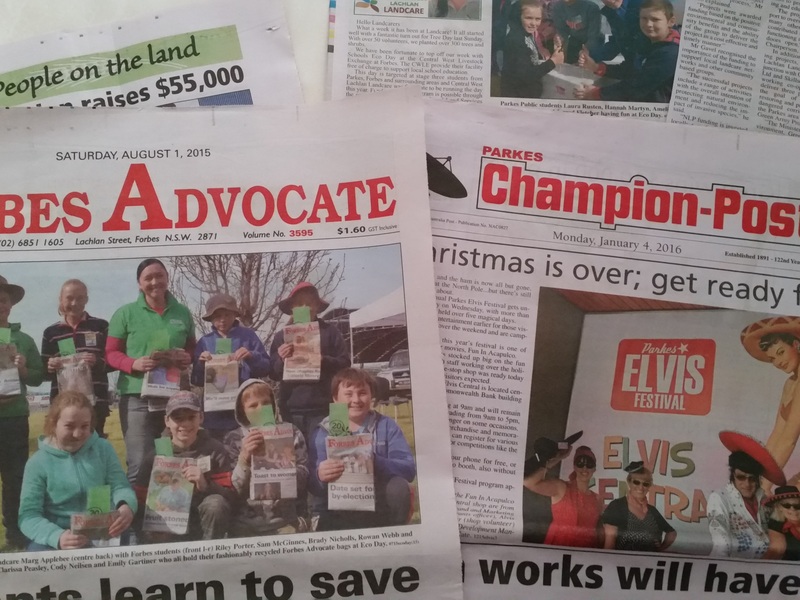 Have you thought about being involved in the Landcare Motley Crew? Our first Forbes Motley Crew will commence as part of National Tree Day (NTD) activities on Saturday, 29 July between 10am and 1pm. We will be planting on a site off the end of Angus Clarke Drive (off Back Yamma Road). 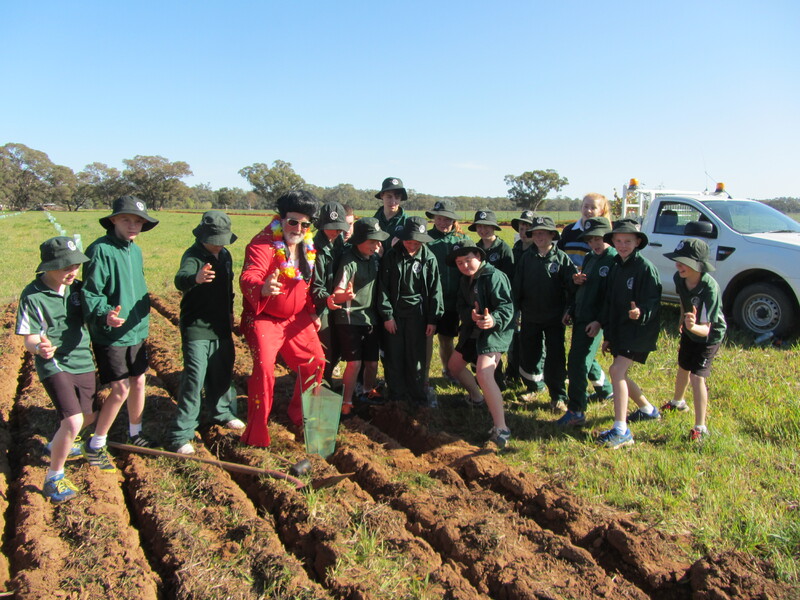 Our next Parkes Motley Crew will be held as part of National Tree Day in Parkes, also between 10am and 1pm, but on Sunday 31 July. Parkes NTD will be held at a site off the Condobolin Road, 3.7km from the turnoff at Bogan Street. Both days include a barbecue lunch and activities for the kids. But remember that the focus of the day is getting outside and planting a tree, enjoying being part of our community and encouraging others. If you can’t plant, it doesn’t matter, bring your chair out and be part of the day.